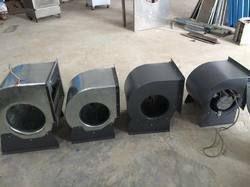 We are offering Double Inlet Centrifugal Fans to our client. Size: 7 to 18 Wheel Dia. 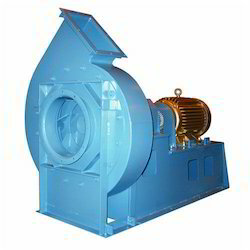 We are offering Manual Aluminum Blower to our client and our product is made of good quality. 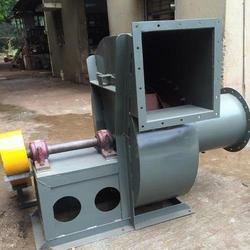 We have emerged as the most authentic manufacturer, supplier and exporter of Centrifugal Blower. These fans are widely demanded and appreciated by our clients due to their optimum performance and long lasting durability. 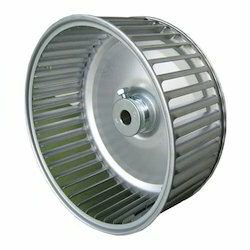 These fans are fabricated using high grade mild steel and stainless steel. These high quality fans are manufactured by experienced professionals by properly following guidelines to ensure high quality product. With our rich industry experience in this domain, we are introducing a comprehensive assortment of Cast Iron Impellers that is available in different sizes. These impellers are manufactured using quality assured raw material under the strict supervision of our qualified professionals. Manufactured as per the requirements of our clients, offered range is tested on diverse parameters to ensure its durability and optimum quality. 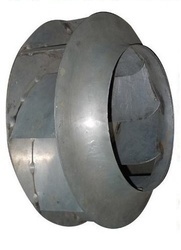 We are one of the prominent firms, engaged in manufacturing and supplying of high quality Industrial Impellers that are made from superior grade raw material. 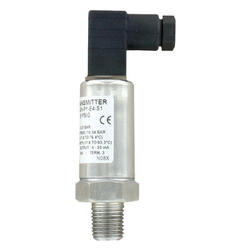 These are fabricated in conformation with national and international standards. Our products are widely acclaimed for durability and strength. Our offered range of products can be customized as per the requirements of our clients. 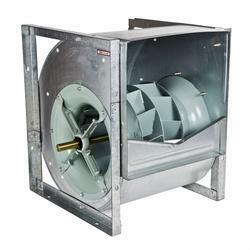 As Supply and Exhaust fans in Ventilation systems, In air handling units for air conditioning systems, In cold storage plants, For fume extraction in industrial plants, Industrial Blowers/Fans are widely used in Ventilation, Pollution Control, Fume Extraction, Dust collection, Induced Draft(ID Fans) and Forced Draft (F.D.Fans) for Boilers and Furnaces, suitable for various applications for Cooling, Humidification, Ventilation, Gas exhaust fans, Exhausters, fresh air supply, HVAC duties, Combustion for Burners, Recirculation of Fresh and United Air, etc. 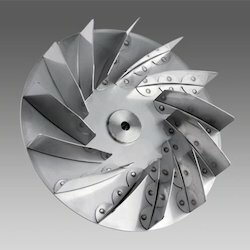 ENVIRO TECH fans are of sheet steel construction with backward curved self cleaning blades.The self – cleaning efficiency of an induced draft fan will increase when the tip angle of the blade is enlarged. 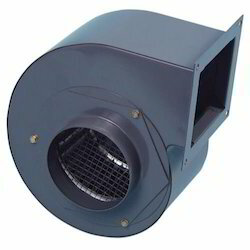 These fans are available for air quantity from 500 CMH to 10,000 CMH. 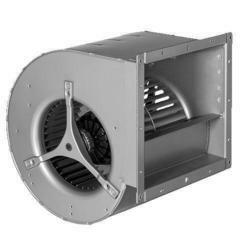 Fans that are used to evacuate a space or create negative air pressure in a system are referred to as induced draft fans. Occasionally, manufacturing spaces are required by specifications to be maintained at a specific negative pressure. Induced draft is also used to identify the combustion process used in large boilers. 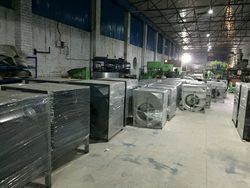 When mechanical ventilation is supplied to these boilers, the heat transfer rat e increases; the boiler can be reduced in size to produce the same amount of energy as natural draft. 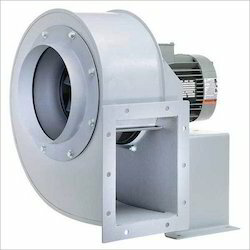 The induced draft fans used in combustion systems are normally high temperature and extra heavy-duty construction. 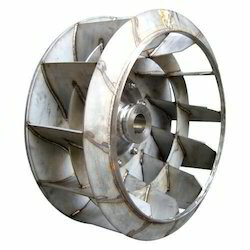 ENVIRO TECH fan wheel has backward curved blades and is designed for either clockwise or anti-clockwise rotation. The blades and wheel are aerodynamically formed to ensure highest efficiency. Fans that are used to pressurize a space or create mechanical air pressure in a system are referred to as forced draft fans. Occasionally, manufacturing spaces are required by specifications to be maintained at a specific positive pressure. This requirement is common in clean room processes for scientific work. 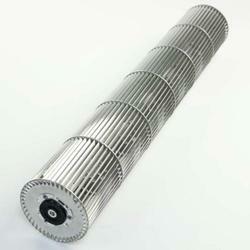 Forced draft is also used to identify the combustion process used in large boilers. 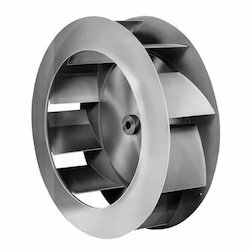 We are offering exclusive range of Impeller for Blower & fans that are used for both commercial and industrial purpose used in supply or exhaust applications. M.O.C : MS/ SS/ Aluminium etc. 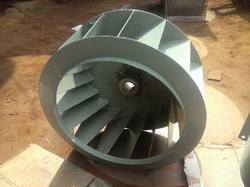 Impeller Type : Airflow, Forward Curved, Backward Curved, Radial etc. We offer DWDI FC Blower/Fan, Impeller. 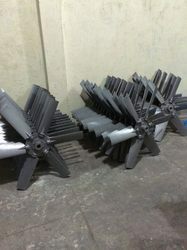 For fabricating these impellers, we use best quality mild steel to ensure their high durability. We manufacture them keeping into consideration the set industrial benchmarks. These impellers offer hassle free service consuming less time. Further, we offer customization facility to suit clients' demands perfectly. the boiler can be reduced in size to produce the same amount of energy as natural draft. Keeping track with current market development, we are stanchly engaged in offering wide gamut of Gas Blower. 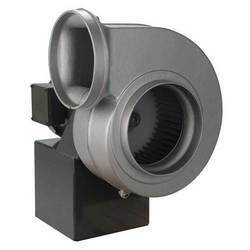 These blowers are specifically designed and assembled with the compression chamber completely isolated from bearing chamber and gear chamber to avoid the harm of bearings due to corrosive gas. 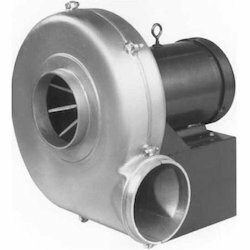 Our offered blowers are made available in different technical specifications for our patrons to choose from. 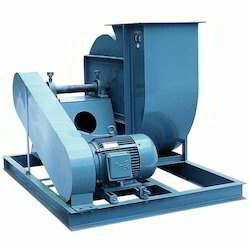 Direct Drive Gas Blowers: All direct motor drive Gas Blowers are supplied with suitable Electric motor with Fan cooling and also Flame Proof. 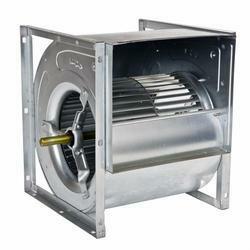 In Gas Blowers, Impeller are Directly mounted on Shaft of Electric motor. 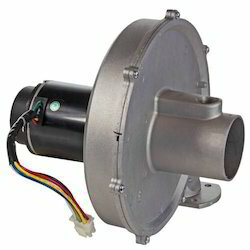 Electric motor in Direct drive Blowers are mounted on M.S. Fabricated Base Plate. Belt Drive Gas Blowers: All Belt driven Gas Blowers are provided with EN-8 Steel shaft extension running in Ball bearing of different types like Pillow Block Pedestal, Sleeve Type Pedestal, Single bearing Type, etc. 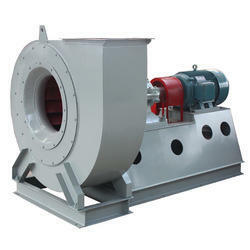 Furnace Burner Blowers are provided with V type or Flat Pulley of suitable size. Complete Shaft and Bearing systems are mounted on M.S. Fabricated Base Plate. 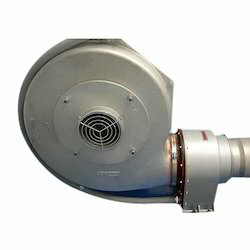 Gas Blowers is also available Aluminum disc for air cooling of bearings. 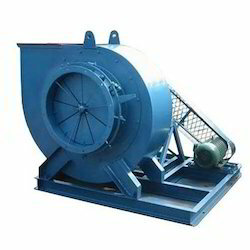 Air flow capacity: 0.5~500 cubic meter per minute. 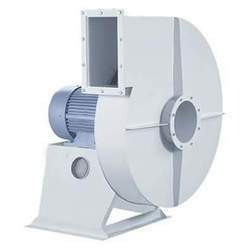 We provide a technically advanced range of direct drive high pressure blowers/ fan which are widely known for their efficient performance and longer service life. 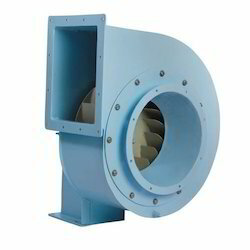 These blowers are suitable for applications such as cooling and conveying for gases, combustion, material and others. Our range comes with impellers that are available in different designs and are dynamically balanced for providing stable and vibration free running to suit the different application needs. Fabricated using high grade raw materials, these are also designed to suit the specific application needs. 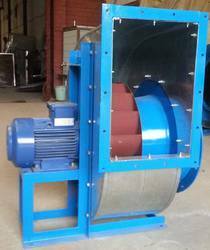 We also have the capability to offer them with mild steel, rubber lined, PP, FRP, PVC made blowers that are suitable for applications in chemicals dyes & electroplating industries. 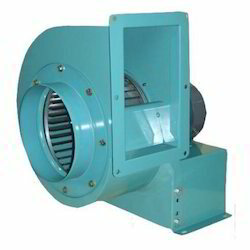 Looking for Industrial Blowers Fan Manufacture From India ?